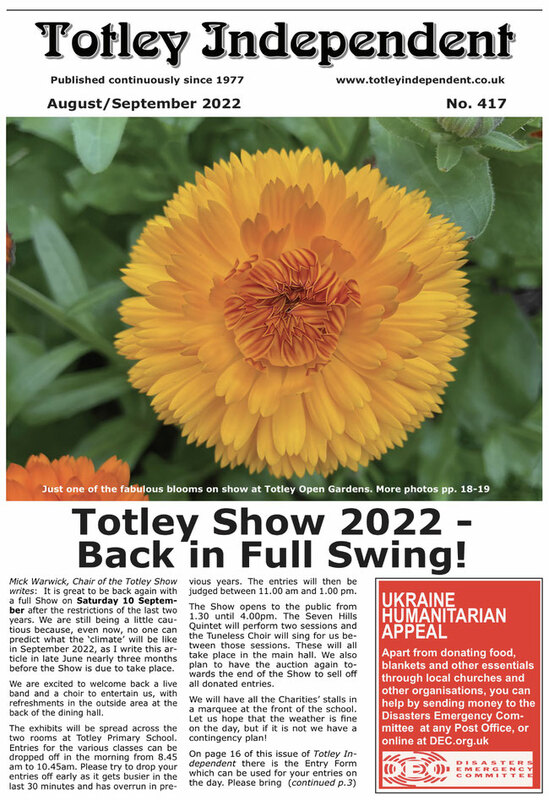 Totley Independent is the community newsletter for Totley. Totley is a suburb of Sheffield, South Yorkshire, UK. For more information see Totley on Wikipedia. Totley Independent was first published on 4th July 1977. Totley Independent costs 20p per copy and can be purchased from several points, see Distribution for more details.